Empire Aviation Group, a Middle East private aviation specialist, signed the deal during EBACE in Geneva with worldwide catering services provider Private Flight Global to restructure Empire Aviation`s catering management operations for its managed and charter fleet. A customised version of Private Flight`s pioneering online system will be installed to monitor and manage Empire Aviation`s catering operation. The innovative state-of-the-art online technology ordering platform will enable Empire Aviation`s personnel swiftly arrange in-flight cuisine according to flight and type of trip. Comprehensive support will be provided by Private Flight`s 24/7 operations centre. This will allow Empire Aviation to enhance the service currently provided to its high profile charter passengers and managed aircraft owners. 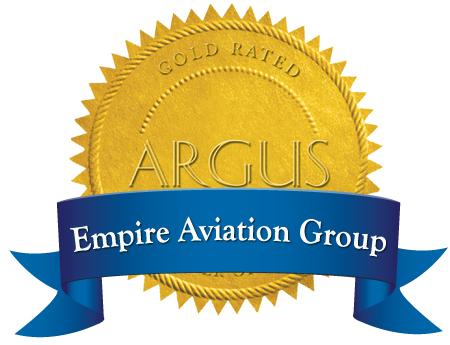 Paras Dhamecha, Executive Director at Empire Aviation Group, commented: "As an integrated private aviation specialist committed to delivering 5-star customer service for our charter clients. We are delighted to sign this agreement with Private Flight Global. Under the new agreement, we will be able to offer a greater degree of personalised onboard service to clients, using the online Private Flight catering services which will allow our cabin crew more flexibility to create tailored menus, track customer preferences and ensure rapid response for their VIP catering orders. It`s all part of our commitment to delivering an exceptional experience for clients." Within the Private Flight system, personnel can select and combine standard or commonly requested items to expedite the order process as well as create and save favourite menus for repeat order placements. In addition, most menus will fully priced with accurate quantity descriptions meaning users can more easily manage costs and reduce wastage. The full Private Flight service provides fulfilment tracking of each order as they progress with built-in notifications alerting Private Flight to any schedule delays or possible issues enabling them time to take the appropriate action. "Empire Aviation senior management have strong strategic vision and clearly recognize how critical inflight cuisine is to a passenger`s total inflight experience", said Shamir Samdjee, Director of Europe and Middle East for Private Flight. "Partnership with Private Flight will enable Empire Aviation to gain a better corporate oversight of their operations while at the same time achieve cost efficiency on a wider scale and streamline the administration of this critical element of their business." Shamir added.